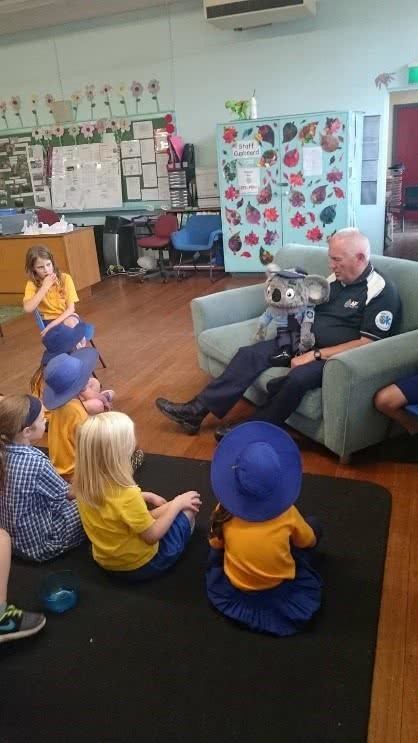 Last month, Constable Kenny Koala visited the children at Lyneham School Age Care to talk about safe behaviours. He helped the children to identify people in their community who they can go to for help, such as teachers, police and shop owners. Kenny also talked about internet safety with the older children, and took everybody outside to show off his police car, complete with sirens and flashing lights. The children had a great time, and are already asking for Constable Kenny to come back for another visit.